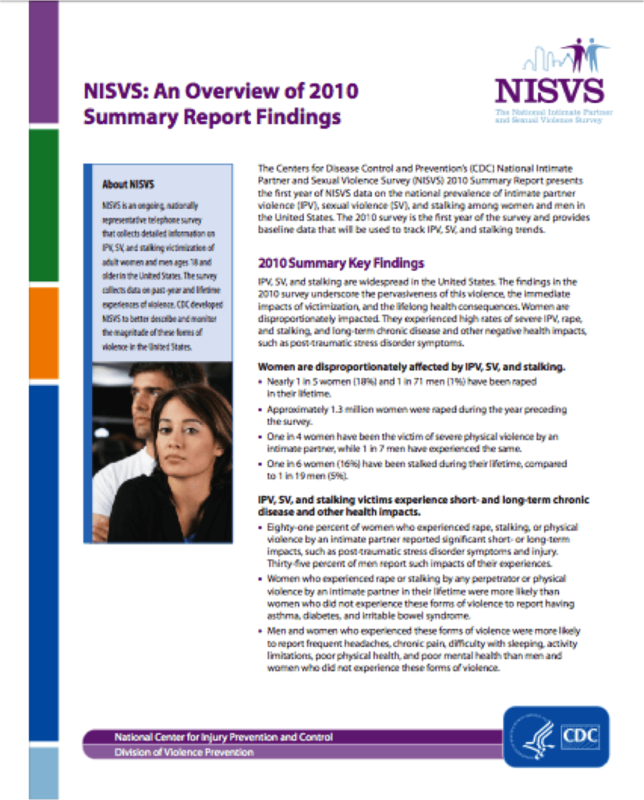 In order to support local and statewide violence prevention practitioners, the Centers for Disease Control and Prevention have developed overview brochure and supporting fact sheets about the National Intimate Partner and Sexual Violence Survey (NISVS) that assesses experiences of intimate partner violence, sexual violence, and stalking among adult women and men in the United States. In addition to the fact sheet about the 2010 summary findings and findings about victimization by sexual orientation, there a customizable fact sheet template and instructions on how to create a custom fact sheet. How are you using findings from NISVS to advance prevention of intimate partner violence and sexual violence?